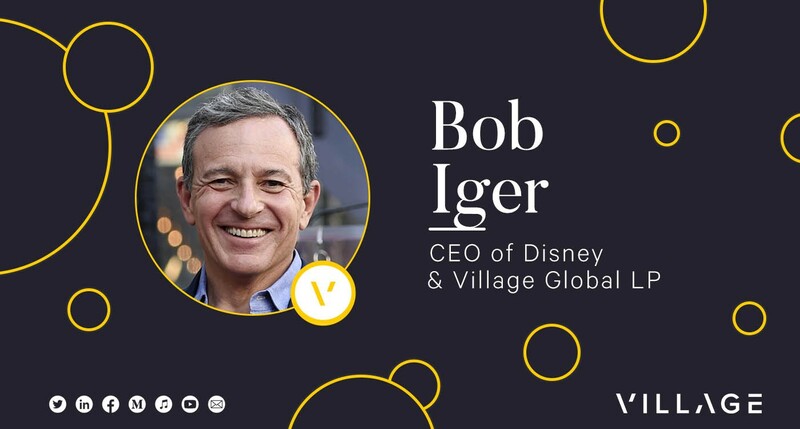 Bob Iger, the CEO of The Walt Disney Company, is one of the most successful CEOs in modern history. We are honored to have him among our small group of Luminary LPs whose financial capital and engagement power our network of early-stage founders. This October, we asked Bob to join us at the historic Beverly Hills Hotel in Los Angeles, California, for an intimate fireside chat led by Carlos Watson, CEO of OZY on Disney’s strategy for creative excellence, technological innovation, and global growth. Afterward, Bob met with a small handful of our founders privately to continue the conversation about their specific businesses and ideas. In his remarks, Bob talked about why “be patient” is one of his most frequently offered pieces of career advice; about how technology is transforming the way Disney tells stories; about the new streaming service Disney is launching; about why “curiosity” is the root of all innovation; and about how Disney thinks about the startup ecosystem around it. Bob in private conversation with our founders and network. We were thrilled that our network of entrepreneurs could interact with one of the world’s most successful executives. This invaluable experience with Bob inspired us all to continue pushing the boundaries of what’s possible in our businesses and our careers. You can view all of the photos from the event here.